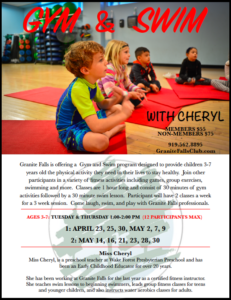 Granite Falls is offering a Gym and Swim program designed to provide children 3-7 years old the physical activity they need in their lives to stay healthy. Join other participants in a variety of fitness activities including games, group exercises, swimming and more. 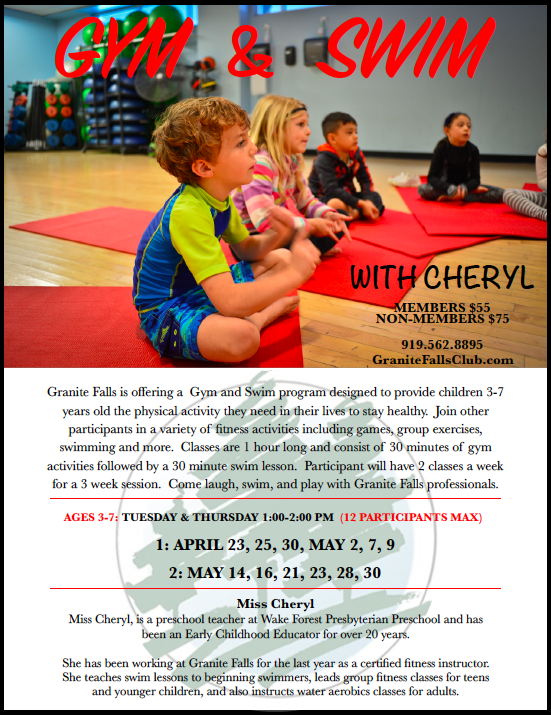 Classes are 1 hour long and consist of 30 minutes of gym activities followed by a 30 minute swim lesson. Participant will have 2 classes a week for a 3 week session. 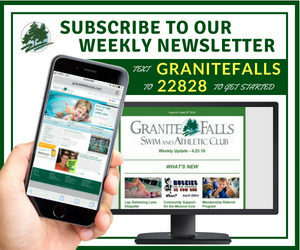 Come laugh, swim, and play with Granite Falls professionals.